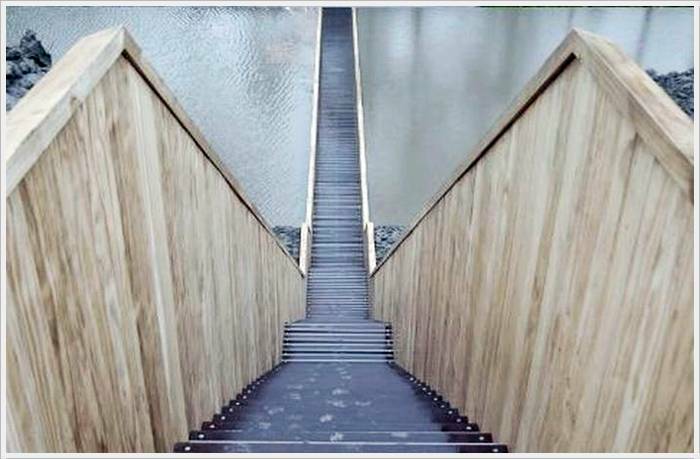 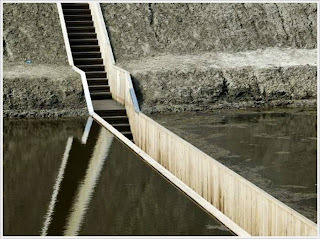 Original way, not an easy task decide Dutch architects. 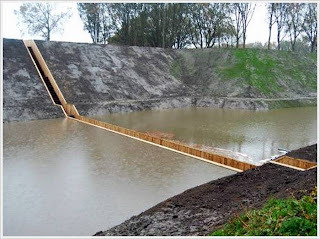 During the reconstruction of the XVII century fort on them needed to throw a pedestrian bridge over a water-filled moat, but do it in such a way that it was practically invisible. 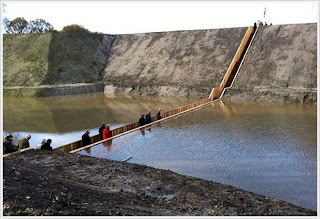 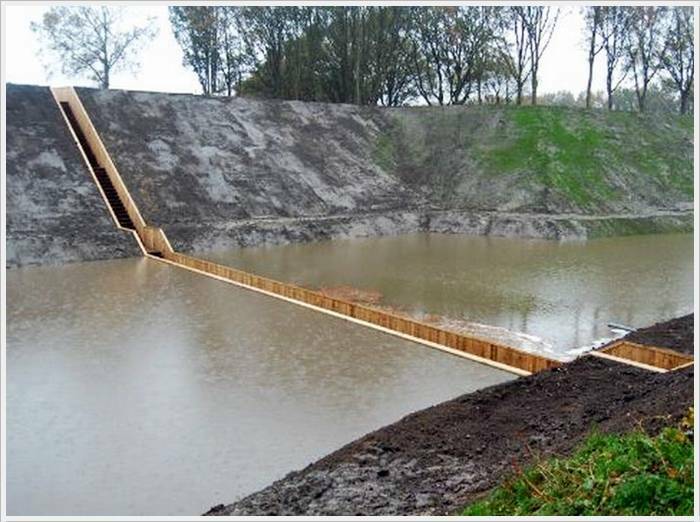 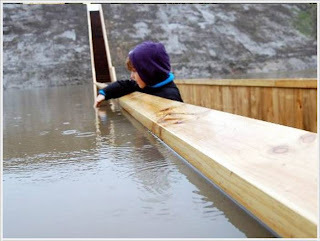 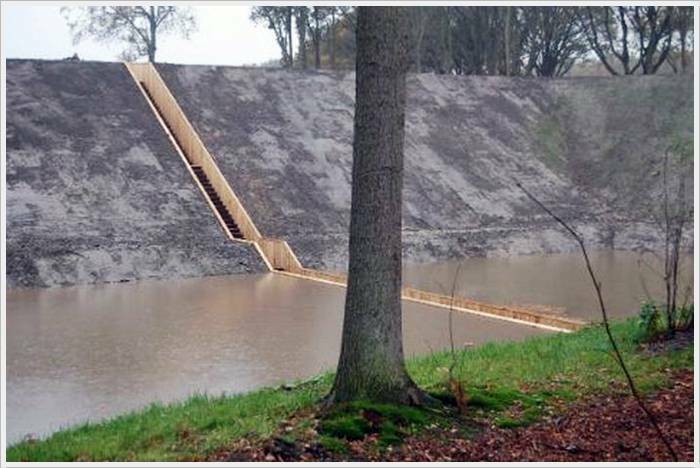 The transition has been decided to erect a wooden tunnel submerged in water. The bridge was named Moses Bridge, a bridge is named after the prophet Moses.The Dutch Association of Architects awarded the title of best design structure 2011.